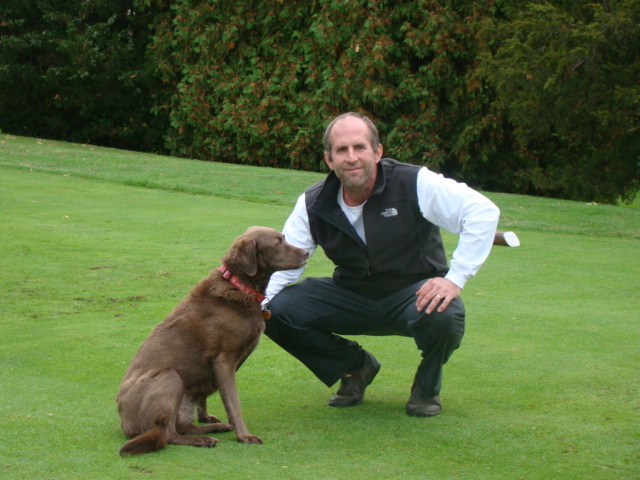 I have worked in the golf course management profession for 23 years, the past 17 in the Chicagoland area. What a wonderful career to wake up to (very early!) each morning. I’ve had the privilege to work at several outstanding golf facilities, including my current position as Superintendent at Hilldale Golf Club in Hoffman Estates, since 2003. Projects at Hilldale have included: 16th hole reconstruction, 17th fairway modification, new tee additions, tee renovations, bunker reconstruction, lake dredging, irrigation system modification and installation, wetlands and native area additions, cartpath repair and additions, drainage repairs and installations, green enlargements etc. Prior to Hilldale, I spent seven years as Assistant Superintendent at Bryn Mawr Country Club in Lincolnwood. Bryn Mawr is an outstanding private club on Chicago’s North Shore. I was very fortunate to get my start in Chicago at one of the premier courses in the country, Cog Hill Country Club in Lemont. My first professional job in golf course management was at Washington Country Club in Washington Iowa, my hometown. As Superintendent at this unique nine-hole private club, I was given the opportunity to learn this profession with a tremendous group of club members. In 1992, all greens were reconstructed to USGA specifications and a new irrigation system was installed under my supervision. Your golf course management skills are PERFECT. The course always looks great and the golfers always compliment your team. I am the Starter on Tue & Wed mornings and really like it when you bring your oh-so-sweet dog to work. She is such a good girl.